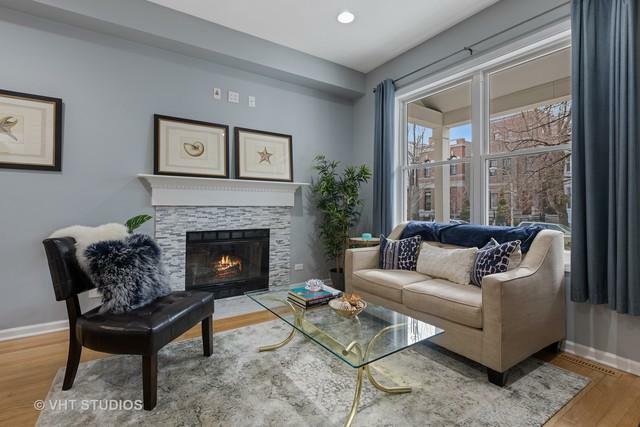 Beautifully updated 2 bedroom, 2.1 bath three level townhome perfectly located in the Southport Corridor in top-rated Blaine Elementary district on a quiet, tree-lined street with beautiful private patio and 1 parking space included. Lives like a single family home! 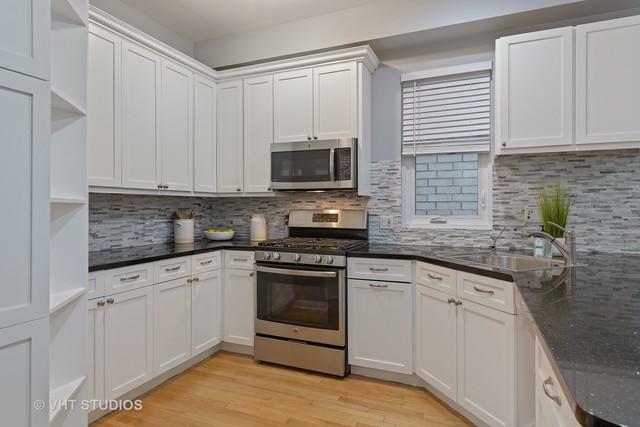 Move-in ready with many updates, including gorgeous white kitchen with granite counters, custom backsplash, stainless steel appliances and breakfast bar open to comfortably gracious living/dining room with gas fireplace. 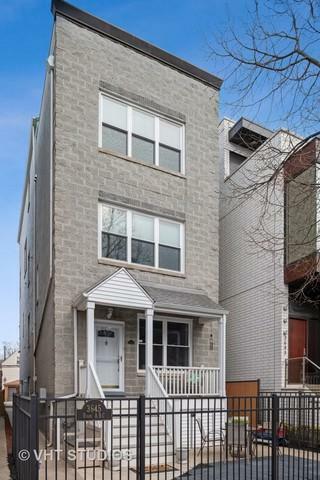 The second level features two large bedrooms, each with professionally organized closets. Totally renovated Italian porcelain full bath just completed! Lower level has huge family room, office, full bath and laundry room. Front porch and private patio are perfect for entertaining! 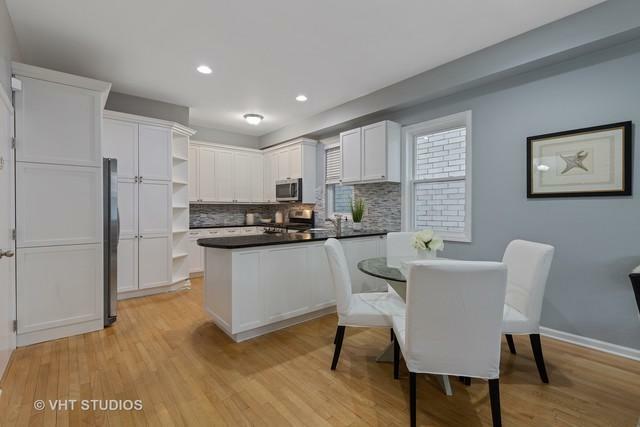 Additional features: newly remodeled half bath, new AC, hardwood floors on main & second levels, recessed lighting and plenty of storage! Fantastic Lakeview location near shops, restaurants and public transportation. Pet friendly!